In 2011 the Guild received a donation of £3,500 from Marian Ash in memory of her mother, Ruth Ash. This incredibly generous gift has and is being spent on equipment and activities to further the educational aims of the Guild and to honour Ruth’s dedication to teaching spinning and dyeing. As a baby and young child Ruth’s domain was the top floor of the Private House (now the Elmhirst Centre) in the Courtyard at Dartington. She was the elder child and only daughter of Leonard and Dorothy Elmhirst, the founders of Dartington Hall as it is known today. Born in 1926, a year after Leonard and Dorothy were married and shortly after they purchased the Dartington Hall estate, Ruth’s early years were formal and highly structured. She was largely in the care of a nanny/governess and two nursery maids and saw little of her parents who were busy establishing Dartington, travelling or entertaining guests. Ruth was in her teens before she was allowed to dine with her parents; something she never forgot, forever resented and never repeated with her own children. The thatched Playhouse on the heather bank below the Great Lawn (now the Gardens Manager’s office) was built for Ruth and in 1929 it became Dartington’s nursery school, with Ruth and ten other children as the first pupils. Later, she was a boarder at Foxhole (the senior school at Dartington) and revelled in the freedom offered there. ​At the outbreak of World War II Ruth was on holiday in the USA and she stayed in New York, with her brother and their governess, for the duration of the war. Having completed her education at Sarah Lawrence College and developed an abiding love of music, Ruth returned to Dartington in 1946. 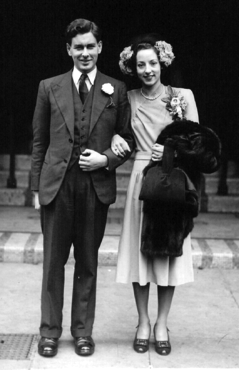 Ruth married Maurice Ash in 1947. Their first home was at Dartington, in Warren Lane, and it was here that Ruth began the work she would later take further: spinning, dyeing and weaving. Ruth and Maurice moved to Essex in 1950 and for the next twelve years Ruth was contentedly busy raising their three daughters, and a son who died at a young age, and creating a lovely garden. Ruth, Maurice and their children moved back to Devon in 1962, to Sharpham House and its estate, on the River Dart below Totnes. At Sharpham Ruth again created a beautiful garden and took up weaving once more. She also became actively involved in Dartington: singing in choirs, teaching spinning, as Chair of the Gardens Committee and as a Trustee of The Dartington Hall Trust. Ruth had many talents but had little confidence in her abilities and always, at Dartington, felt herself in the shadow of her parents. She probably never realised how much, in her own right, the people of Dartington loved and respected her. Ruth became ill with Motor Neurone Disease and died, aged 60, in 1986. A tree on the Great Lawn was planted in remembrance of Ruth and part of her bequest to Dartington was used to fund the creation of the garden in the outer courtyard.